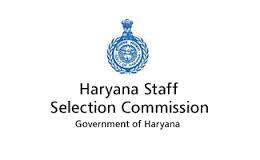 Supervisor (10 Vacancies) – Last Date 08 April 2019 (Panchkula, Haryana), Haryana staff selection commission (HSSC) recruits Supervisor posts. Candidates with I.T.I, 10th Passed experience can apply. (i) Matric with Hindi or Sanskrit; (ii) I.T.I Certificate in the trade of Mechanic Motor Vehicles; and (iii) Two years experience as workshop supervisor from any reputed workshop. 1. Please read the instructions and procedures carefully before you start filling the Online Application Form. 2. The online application can be filled up using URL address i.e http://adv32019.hryssc.in/StaticPages/HomePage.aspx. 3. The candidate should fill all details while filling the Online Application Form. 4. After applying online, Registration No. and Password will be generated. 5. Take print out of the registration no. and password screen for future reference of your application status and for Reprinting of your online filled application form and eChallan form. 6. After successful submission of application candidates can take print out of application form and e-Challan. 7. The hard copy of application form along with all uploaded documents must be brought at the time of verification/scrutiny. 8. Candidates are advised to fill their application form carefully such as Name, Father’s/Mother’s name, Date of Birth and Category, Qualification, obtained marks, passing year, photo & Signature, fee, etc. After final submission of application form, no change will be allowed. Candidate will be responsible for any mistake in the data of application form and fees paid by him/her. No correspondence will be entertained in this regard. the upper age limit is relaxable as per Haryana Govt. instructions. by three years is permissible. mark sheet of 10+2/Graduation/Diploma/Degree etc. DESM/DFF and women issued by competent authority. be, in case of candidates who have applied earlier. iv) Scanned Photographs duly signed by the Candidate. v) Scanned signatures of the Candidate. Scanned signatures of the Candidate. DOCUMENTS TO BE BROUGHT AT THE TIME OF SCRUTINY/SELECTION. copies of all these certificates. issued by concerned treasury etc.